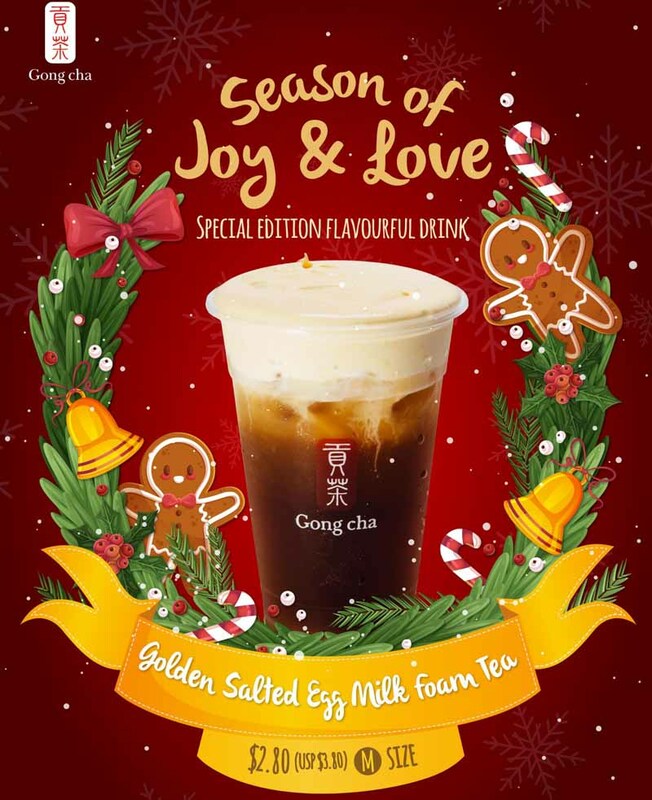 To celebrate Christmas, Gong Cha’s special edition Golden Salted Egg Cheese Tea is going for only S$2.80 (medium). That’s right, you get to enjoy S$1 off this sweet and savoury drink. Since it’s a promotional price, we decided to give it a try. Upon sipping it, we were quite divided in our opinion of the drink — it doesn’t make us hate it, but neither does it leave us wanting more. A thick layer of salted egg milk foam topped the fragrant green tea, and it reminded me of Gong Cha’s Milk Green Tea. But the salted egg foam added a mix of sweet and savoury flavours, so I wasn’t sure if I enjoyed the drink. After several mouthfuls, the sweetness of the tea became more pronounced and it was actually rather enjoyable. I would’ve preferred it if they took it down a notch for the milk foam, as it was too savoury for my liking. Of course, if you’re a cheese tea or milk foam tea lover, you should check this out. 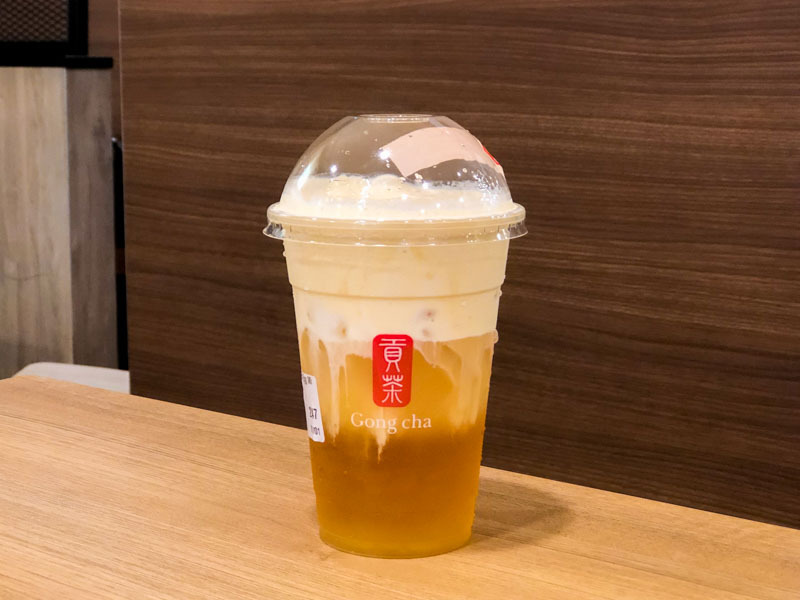 Hop onto their festive celebrations and get your savoury tea fix at any Gong Cha outlets!